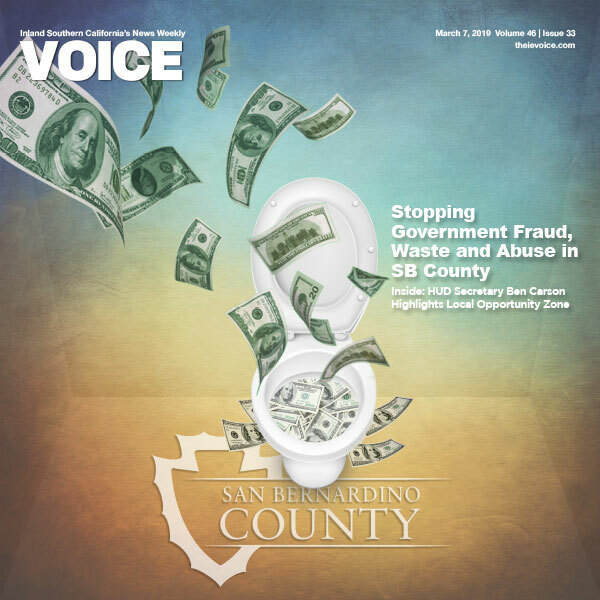 On May 22, the San Bernardino County Library launched the “SBCL” app for mobile devices. The app provides public access to what the library offers on their websites, including searching for materials, checking holds and due dates, current events, and information from all 32 branch libraries. The app offers another opportunity to celebrate and support the countywide Vision2Read initiative by providing an additional avenue for accessing, utilizing, and enjoying all that the County Library has to offer. Since the library plays a key role in achievement of the countywide initiative— by contributing to educational, cultural, and historical development of our County community—an app is an ideal way to provide more reading opportunities for children and teens. Sleeping and over-eating, both connected to binge television watching, can become a habit, and reading can cease being part of a child’s daily routine. During the summer, it is especially important for children and teens to continue building their reading and educational skills. 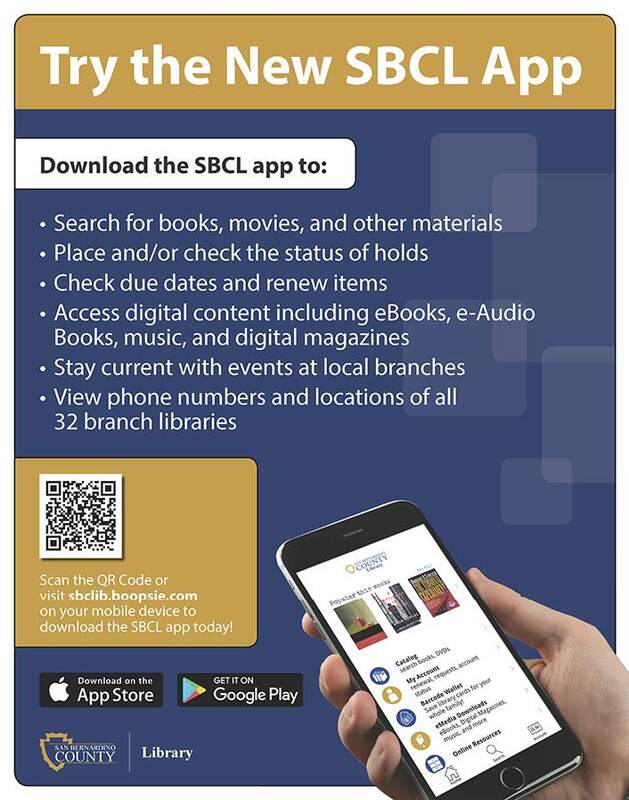 The SBCL app is bringing more reading and fun to the summer for all book-lovers and learners. 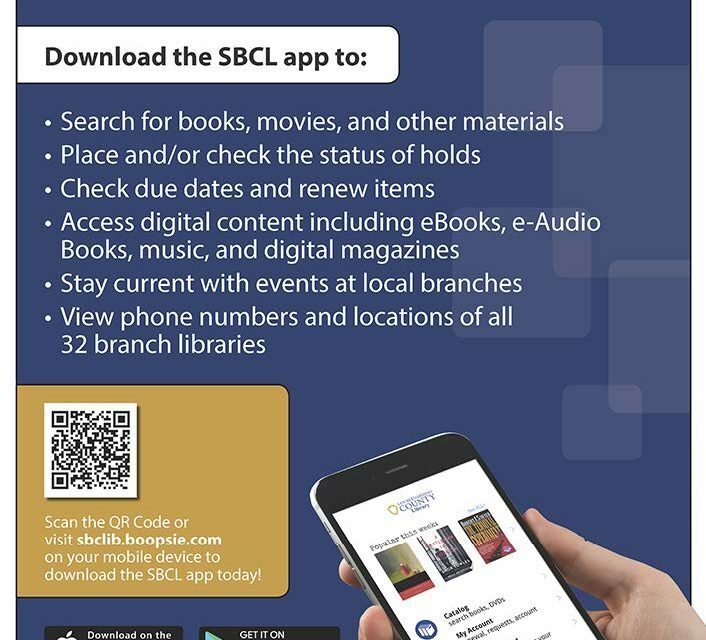 It can be downloaded from the App Store, Google Play or by visiting sbclib.boopsie. com. It is available in English, French, German and Spanish. 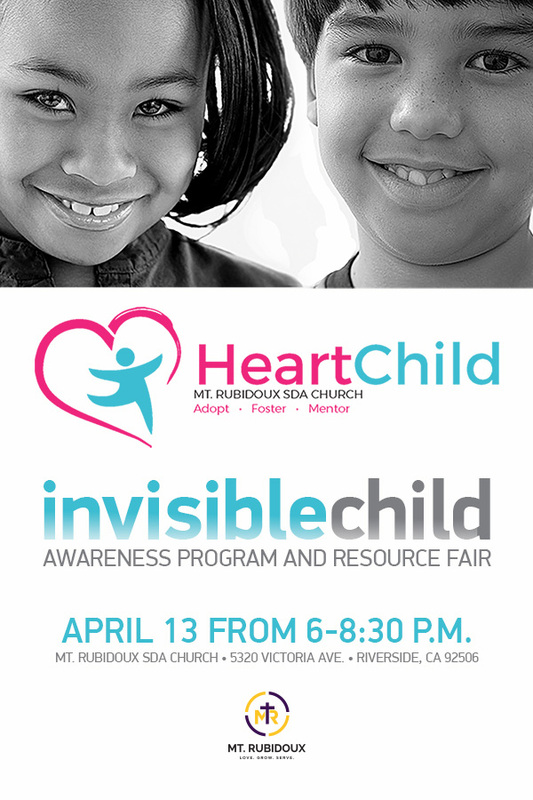 For more information on the SBCL system, please visit http://www.sbclib.org/ or call (909) 387-2220.